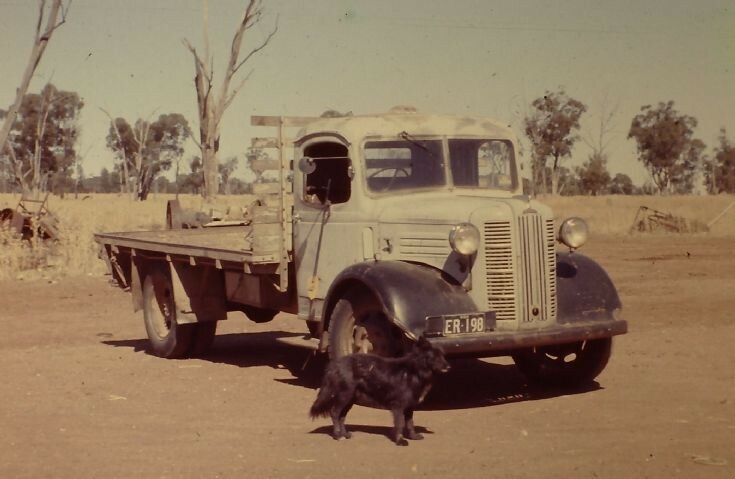 My Uncle's Austin Truck on his Farm at Tichborne Nsw Australia. Colour slide taken by me Terry Davis in the mid 1950's . Anyone know the year model I dont thanks if you can . Looks like an Austin K2. K2's were made in the late 1940's and early 1950's. Added by Steve Prosser on 01 October 2013. Added by Rupert Condick on 22 March 2019.